Guillermo del Toro’s critically acclaimed drama, The Shape of Water, is in a bit of hot water — the film and del Toro have been accused of plagiarism by the estate of a Pulitzer Prize-winning playwright. 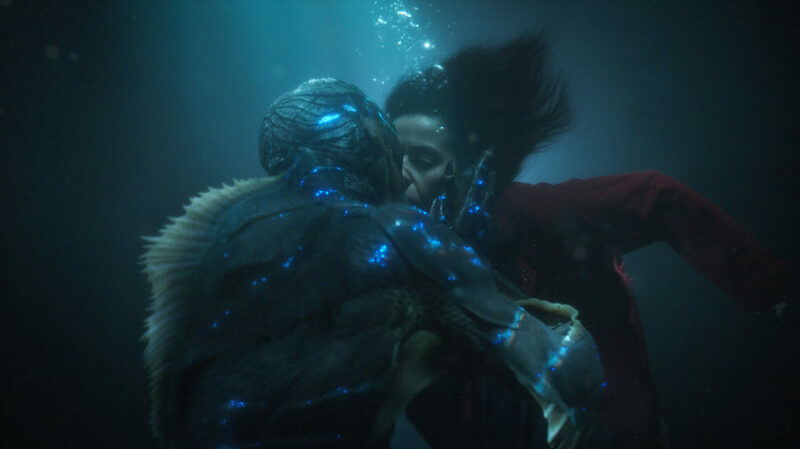 The movie, which was nominated for a whopping 13 Oscars on Tuesday, has largely been seen as one of the most bizarre and certainly original films of the year — because hey, it’s not every day you get to see a woman fall in love with a fish-man. But in a very odd turn of events, it seems there’s another story with a very similar premise already in existence. Now the estate of acclaimed playwright Paul Zindel is accusing Guillermo del Toro and his co-writer Vanessa Taylor of plagiarizing The Shape of Water. David Zindel, who manages his father’s estate, revealed to The Guardian that the film bears a striking resemblance to his father’s 1969 play, Let Me Hear You Whisper. “We are shocked that a major studio could make a film so obviously derived from my late father’s work without anyone recognizing it and coming to us for the rights,” Zindel wrote in an email to the publication. "A lot of people are telling us they are struck by the substantial similarities. We are very grateful to Paul Zindel’s fans for bringing this to our attention." In Zindel’s play, the protagonist, Helen, is a nighttime cleaner at a biological testing facility and winds up bonding with one of the test subjects, a dolphin. Upon learning that the dolphin is set to be killed, Helen sets out on a mission to save it with the help of her co-worker and friend. Now, while that does sound very similar to The Shape of Water — as Elisa (Sally Hawkins) also works as a janitor at a top-secret government lab where she meets and falls in love with amphibious creature of sorts — it seems that many of the other major plot elements in the film diverge from there. In the film, Elisa is mute and communicates to humans and fish-people in American Sign Language. Plus, Elisa’s neighbor Giles (Richard Jenkins), alongside Elisa’s co-worker Zelda (Octavia Spencer), are also pivotal in the fish-man’s rescue from the facility. The director has been open about how the idea for The Shape of Water came together, and it happened during a breakfast with novelist Daniel Kraus. Del Toro recently told Written By that during a conversation, Kraus presented him with an idea about a “janitor that kidnaps an amphibian-man from a secret government facility.” On his website, Kraus repeatedly refers to The Shape of Water as “based on an original idea” between the two. Neither del Toro, Kraus, or Taylor have yet to publicly respond to Zindel’s accusation.